What can be more mesmerising for the Indian parents than their daughter’s wedding? Like millions of other parents, we also dreamt of everything possible we can do or organize for our daughter’s wedding. Samiksha, being the eldest daughter in our family was the first one who was getting married among all the youngsters. Every single person in our giant joint family was as happy as we were. Everyone was busy organizing the things for the various ceremonies lined up. After all, it was a big fat Indian wedding of a rich Punjabi family. We couldn’t have even thought of missing a single thing during the preparations. But, a lot of preparations made us just forget about the wedding photographer. Our daughter came running and asked, where is the photographer MOM? I was a little confused at that time. How nobody just got to remember about such an important person missing in the wedding preparations. After all he is the only person, who is going to treasure all the beautiful and crazy moments of my daughter’s perfect wedding. At first, I was a little nervous, but then people came and told us that there are still 4 weeks left for Samiksha’s marriage and we can arrange the best wedding photographer for the same. But, it was not that easy as it seemed to be. We went to a lot of shops and renowned studios to get through their work. Few didn’t even have their portfolios and were trying to convince us just on the basis of fake promises and lower prices. Money indeed was not a constraint at the time as we were looking for some professionals, but we were unable to find any. The renowned studios in our locality were also lacking the professionalism in their work and their attitude. Even their portfolios were unable to convince us to get them hired for such an auspicious and grand occasion of my daughter’s wedding. We already had wasted a week’s time and now the pressure was immense. We were not having much time left with us and looking for someone again by hit and trial method was not at all possible. We were really tensed due to all the failed trials of finding the perfect Wedding Photographer. We were sitting together discussing, whether we should land up for the one who showed us the portfolio without any catchy pictures or should we go out in search of someone else? Seeing the marks of tension on our faces, my nephew asked us, why we were so much tensed? I told him the issue with the wedding photographer. He took out his smartphone and told us about the UrbanClap app. He downloaded the application in few seconds and entered some of the important details. He searched for the best wedding photographers in New Delhi. We went through a lot and lot of profiles and messaged some of them personally to get a quote regarding their services. We got the portfolios from those selected professionals. We went through the portfolios we got on our e-mail and we found the portfolios exceptionally good, surely better than the ones we wasted out time on. We selected two professionals out of all we got the quotes from. They came for the personal meeting as well. We met them and found that both of them were exceptionally good in wedding photography. This was indeed the most crucial time. Selecting the best among the two professionals, when both of them are excellent at their work, was a difficult moment. After a lot of discussions and convincing we finally decided to hire one which was more patient and polite among them. We were really happy as UrbanClap almost solved our biggest problem and now we were totally able to concentrate over the things and the other preparations which were still to be made. UrbanClap was the rescue at the need and we are so much thankful to the UrbanClap team for raising such a great initiative where people can find most of the services offered by the best professionals. Why should you try the UrbanClap app? UrbanClap not only got us the best wedding photographer for my daughter’s wedding, but it got us the immense pleasure when we went through the images we received after her wedding. Even, the wedding videos were so well organised that we just ended up praising the photographer’s skill by paying him a little more than what he demanded. His work was amazing and none of his promises were wrong. My daughter looked like a princess in each and every picture of hers. Every moment came just before my eyes as they were happening at the same moment, when I was flipping through the images. He assured us for the best photographs for each and every ceremony, and yes, we got the best of every ceremony, whether it was a photograph or the video. Everyone in the family praised his work and I was really thankful to my nephew to show me the best way to hire the wedding photographer through UrbanClap. Otherwise, we could not have found what we found on UrbanClap. We found UrbanClap app as the most user-friendly app, one could ever find to get the services he or she is searching for. 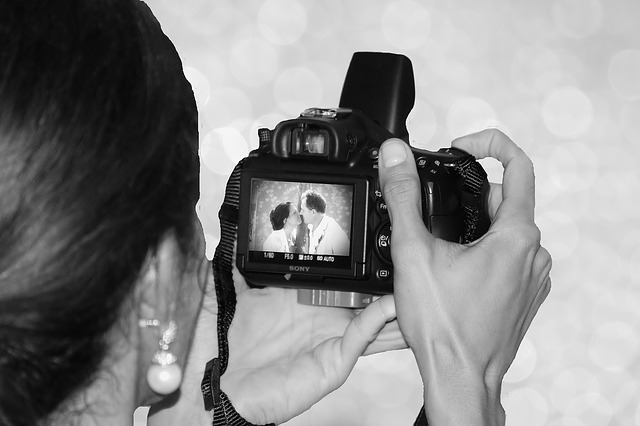 How to find the best Wedding Photographers from UrbanClap? This is really an important question for them who are not much tech savvy people, similarly, as we were. Obviously, it is very rare to find your nephews or nieces helping you during the wedding preparations, but thankfully we got that help from our darling Daksh. He helped us in every step to find the best wedding photographer for Samiksha’s wedding. Well, we also got to know few of the major points which must be kept in mind while looking for the best wedding photographers on UrbanClap. As we have reviews regarding every particular service and products there in the market, similarly, we got to come across various reviews regarding those professional wedding photographers on the app. We went through the reviews and chose the professionals who got the best reviews and also had the maximum number of 5 star ratings. We went through their portfolios and asked them about their work in a detailed manner. Finally, we got the best among the ordinary ones and yes, we loved his work and his innovative ideas which he put together to bring out the great work. We hired Mr. Manpreet Singh as the wedding Photographer from Colorbar Studios, Ludhiana. His team did a great job and all his commitments and assurance was true. He never faked a single promise. He and his team was the best example of team work. They were polite and punctual, they never missed a single ceremony neither they were late on any of the ceremonies. We could not have expected anything more than this from them. He and his team is the perfect combination of great team work, perfect photography, and outstanding video techniques. We will definitely recommend them to everyone out there who is planning for a marriage soon or later.